When it comes to generating invoices and receipts to distribute to the customers, small business owners spend hefty prices to IT companies for setting up and maintaining the software application for their inventory management. Regardless of their effective services, they never totally benefit small business owners since they cost way more money that a business owner can afford in the start. Small businesses looking for reliable and relatively cheap approach, often find Online Receipt Maker tools good for their businesses. The online tools let you customize the retailer receipts in professional way and offer the opportunity to send e-receipt via email. 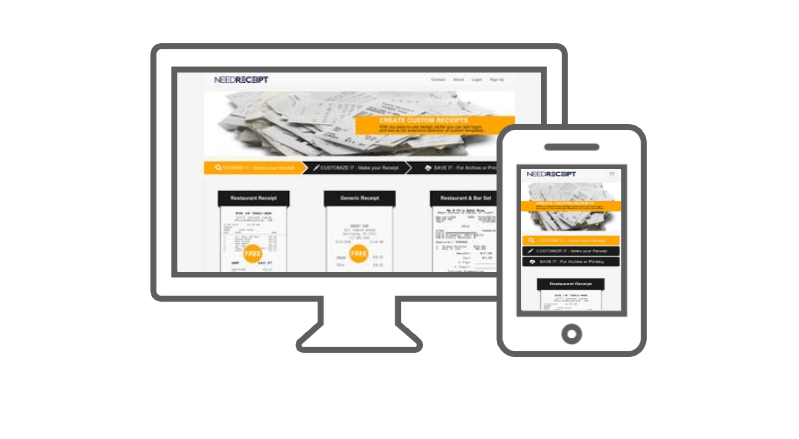 Need Receipt is one of the leading online receipt maker tools with amazing business receipt templates persistent with latest receipt designs and styles. I would personally recommend every starter business to look into these tools before spending a big sum for IT services to the software companies. The business geeks would completely agree that how marketing has become the backbone of every business ranging from a small business to an international corporate. They spend a considerate amount to target the right consumer of their product. Usually marketing agencies work for business owners which help their business grow and reach the users through merchandising or through internet marketing. To ensure the repeat business, cost-effective digital receipts can offer a lot since you already have your customer’s email. Send invites of your deals, offer discount on return shopping, announce upcoming events, give free gifts on special occasions. Publish the creative and informative content on your website and social media pages. Ask your customers to like and subscribe to your online pages to get informed about valuable deals. Everyone is aware of the drastic climate change which is happening and going to affect life on Earth. Deforestation is what causing major effects such as global warming and melting the glaciers. The planet would become in hostile if we don’t change our habits. Since you don’t need papers that’s why e-receipts are quite eco-friendly in many ways. Rethinking the motivation to save the environment, for businesses, digital receipts let save you the paper and the printing cost of a sales receipt. Go green with paperless receipts and save the cost require to print the receipts. No need to find excuses anymore because the IRS tax return has accepted the e-receipt as proof of the expense record. One of most heard complain from customer is “sorry, I lost my receipt”. People often find it difficult and face embarrassment when the paper receipt go missing. The retailer finds it problematic too because he doesn’t have online record, so he goes through bundles of dusty papers and a lot of time gets wasted. To counter the problem, again we turn to electronic receipt saved online. 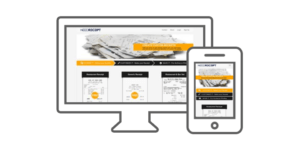 Digital receipts can ensure the safe and secure transfer & keeping of the record. Since you don’t require resources for receipt record management, so you can save money usually spend to hire many employees. Less employees means less money spent on the whole receipt record keeping. Another advantage comes along the quick access to receipt record. The risk of defraud and deception also drop to zero with the online storage system. All in all, e-receipts can be beneficiary to provide the quicker customer services. Previous PostPrevious How do I do a reverse phone number lookup for free?